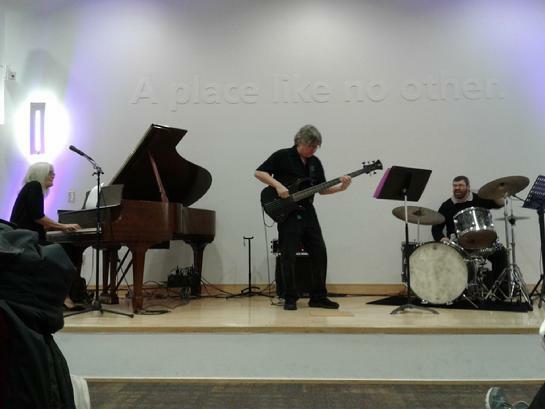 The Jan Jungden Trio, with Bob Laramie on bass and Justin Blackburn on drums is excited to be part of this free, hour long concert series at the Downtown Library, 500 Main Street, Hartford, sponsored by the Kaman Foundation. 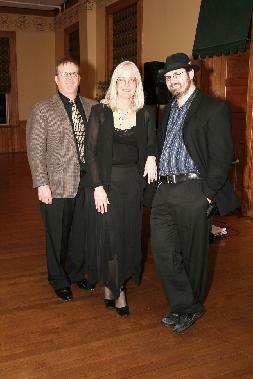 Chamber of Commerce "Meet & Greet"
Jan Jungden, keyboards & flute, Bob Laramie, bass and Justin Blackburn, drums. The Jan Jungden Trio infuses a carefully chosen jazz repertoire with a sound that is truly their own. 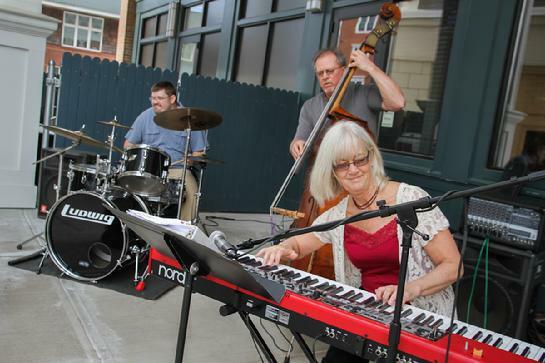 Jan's keyboard versatility keeps things interesting whether she is swinging with the band or burning up a solo on piano or organ. She'll surprise you by switching to flute, and, to break up the instrumentals, she'll sing you a standard a la Diana Krall, or an original. Combine this with Fred Fagan's ability to be comfortable whether he is walking through a jazz standard on upright bass, or snappin' and poppin' on electric bass, and Justin Blackburn's expertise in traditional jazz drumming as well as his natural feel for Latin and funk rhythms. This tight yet spontaneous 3 piece ensemble really delivers, making them a perfect choice for nightclubs, restaurants, cocktail or dinner parties, weddngs, concerts, and outdoor events. Past appearances include: Autumn Arts Festival, Madison, Maugle Sierra Vineyards, Ledyard, Summer Concerts on the Square, Storrs Center, Gelston House, East Haddam, UConn Winterfest, Foxwoods Resort Casino, Willimantic Streetfest, Keeney Cultural Center, Wethersfield, Patriots Park, Coventry, Tyrone Farm, Pomfret, Amarantes Sea Cliff Restaurant, New Haven, The Inn at Mystic and more. . . The Jan Jungden Trio plays "Jazz in the Afternoon"
The Jan Jungden Trio recently completed a CD of primarily original songs in the jazz and R & B vein. The first 4 songs on the CD are a good example of the trio's current jazz club work. The second half of the CD reflects their R&B, interspersed with some Latin tunes, even a song written by Jan in Spanish! 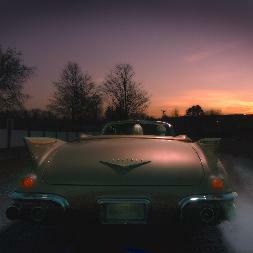 The CD is currently available online at iTunes.com, cdbaby.com, and at live performances. "Smooth Ride" was produced by Jan Jungden and Mike Bloomer at the Upstairs Room, Scotland, CT.
Let the members of the Jan Jungden Trio provide music for your entire wedding day. 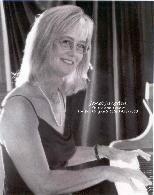 Beginning with the cermony, Jan will play traditional wedding music as well as a favorite song on organ, piano or flute. 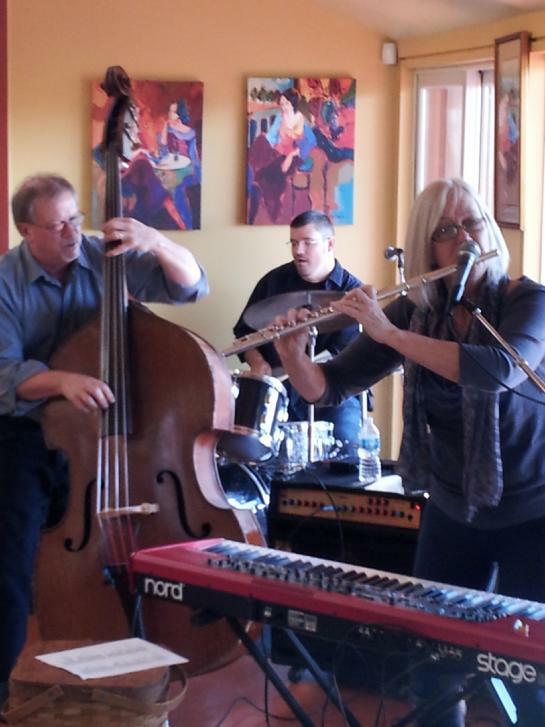 During cocktail and/or dinner hour, enjoy live jazz with the Jan Jungden Trio featuring Jan on piano and flute, Fred Fagan on bass and Justin Blackburn on drums. After dinner, the celebration continues with DJ's Justin Blackburn and Erin Stevens, the MP3J's, spinning your favorite dance and party tunes. The MP3J's will smoothly guide you through your special day, beginning with wedding party introductions, and including the "first dance" and other wedding traditions. Our band/DJ package is affordable and competitively priced to most DJ services. 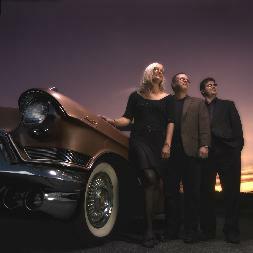 Find the Jan Jungden Trio on Facebook!